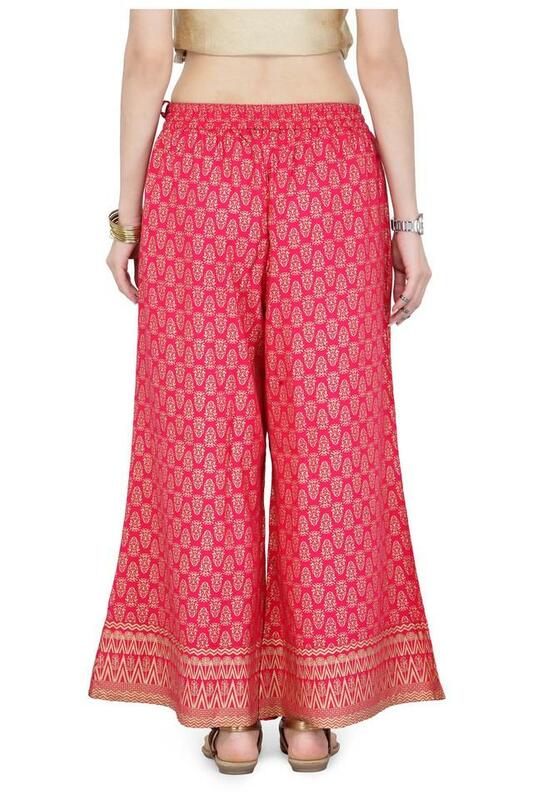 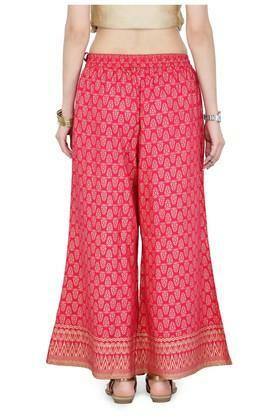 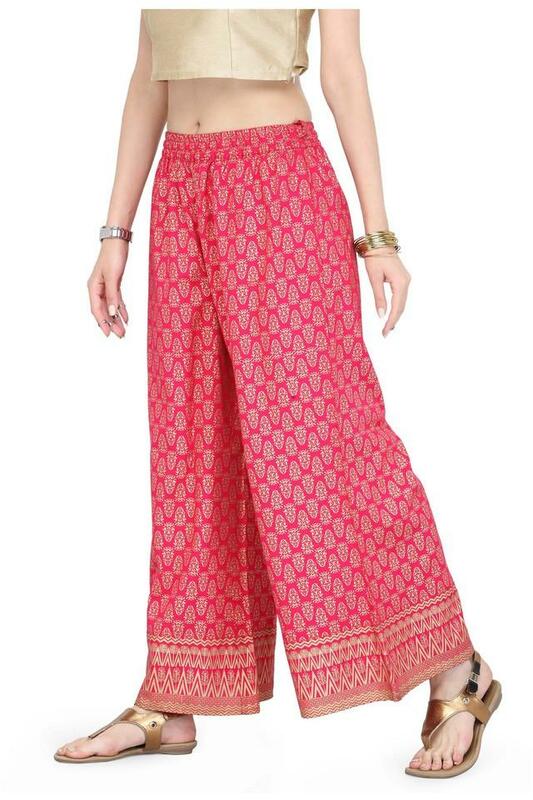 Elevate your casual appeal with this pair of palazzos from Varanga. It has been tailored with viscose fabric that promises to keep you at ease. 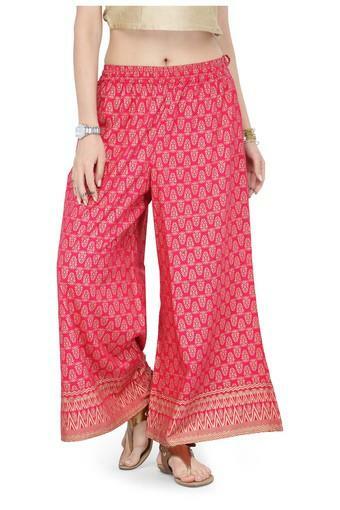 Besides, it flaunts a printed pattern that lends it a classy appeal. 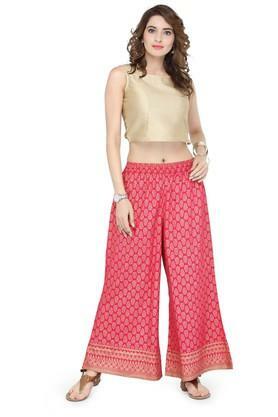 Stylize your casual look by wearing this pair of Palazzos which has been tailored to perfection. Club it with a kurta and a pair of heeled sandals to make a style statement.